stacks but they couldn't complete the task because there were just too many! This photo is a thumbnail and that is what I had to work with ! Please Zoom For Clarity If You Can! The "hand" seems to be showing that it was trying to stack neatly but being that there were too many it just became overwhelming ! The "hand" truly seems to be a gesture that the Martians seem to use a lot ! Of course maybe with the help of Nasa's graphic designers? to be when Mars lost it's atmosphere and lost most of it's creatures. A morphing seems to take place ! the "white" lined containers. Not though how the processing goes from the containers to the left and then they are flattened and put into layers. people living today on earth never experienced, nor much read about ! how they (the martians) lost their beautiful planet and it being turned into a totally ruined planet. Martians loosing their atmosphere. And Nasa reading it about every day underneath our noses. we came to the truth about another planet's inhabitants and how we all of a sudden came to a realization that we are not alone ! I think it is incredible what Nasa is laying right before our very eyes. And doing it in a constant manner! This Nasa Curiosity Photo I Think Is A Great Example Of What "Layers" Are ! database. Many are made with great graphic designed drama to accentuate what the Martians are trying to get across in their outside-memorial diorama-like sculptures. Most of these amazing sculptures are full of tiny detail that I've never seen from the very talented artist-sculpturist's here on earth. These ten's of thousands or more outside-floor-sculptures are I think not made from rock or stone etc. But maybe through the use of (algae?). Which seems to be a major source on their planet's products. Though I think they live underground, possibly much of their industry is underground as well. But of course I'm not perfectly sure! Of course all made in sculptured form as memorials to their once thriving living creatures! "A chunky white" action marker showing an example of grabbing creatures to put into hole! smaller sculpture to the left ! The Martians seem to put a lot of thought into their outside floor story sculptures! And when you see an object off to the side it could very well be a sculptured piece as an aid to the memorial story they are trying to tell . That is, of how they lost their atmosphere and the surface of the their planet ruined in extreme antiquity ! Think They Are The Dead Creatures Dying In Masses! related to creatures dying in piles upon piles! the very large layered ones on the right! faded and much smaller compared to the right ! 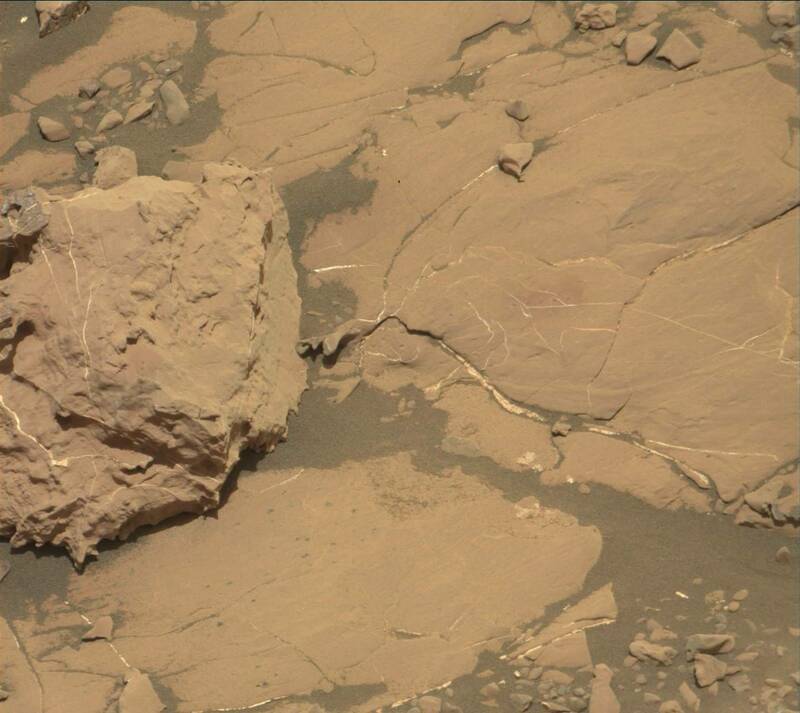 It is as if the open areas were mean't to display "water" in in some of martian's sculptures! At first I thought it was a type of "fabric" but I really don't think the areas are fabric. But there is a section that is elevated like water and really had to make me think. fabric for their underlayments of these "outside memorial floor sculptures". ​use it a lot ! "Layers" seem to be related very strongly to "dead creatures" ! That were lost when mars lost it's atmosphere and the planet's surface destroyed. And the hardship and sadness trying to put the dead creatures in containers, that truly seem to be the dead creatures themselves ! Also "gestures" seem to be used. To me, "gestures" play an important role in telling the story of how they had to stack and pile all the dead creatures. They show a method of making sure the dead are layed first to form a foundation. After they dried, they had to make sure they could endure the other creatures that were dead on top of them ! It is mean't in my opinion to be sculptured memorials not to the martians themselves, but to the almost endless creatures ! "Layers" In Many Instances Have To Be Sculptured Memorials To Dead Or Dying Creatures ! Not sculptures as we earthlings think of, but "outside-floor-sculptures" made in a type of canvas in three dimensional form. Thin and very moldable for quick sculpturing. But can be made thick as well of course ! Simply has to be because within the layers obviously are mouths with droopy eyes, tongues sticking out desperate for water and food. But the creatures can't find either because they lost their habitat when mars lost it's atmosphere in extreme antiquity ! In many of the layers you can hardly notice that they are dead creatures, but I find they are being sculptured to look and to represent that they are almost endless. It is amazing to me how articulate the martians are. Displaying so many that you can hardly trace them ! There is a reason for that, the martians seem to want to convey the meaning of the amount of creatures lost. Which must of been terrifying to say the least. When after the cataclysm was over and after hiding underground for so long until the dust settled. They just had to make countless sculptures in remembrances of how their creatures died and the hardship of their creatures not being able to find water or food ! 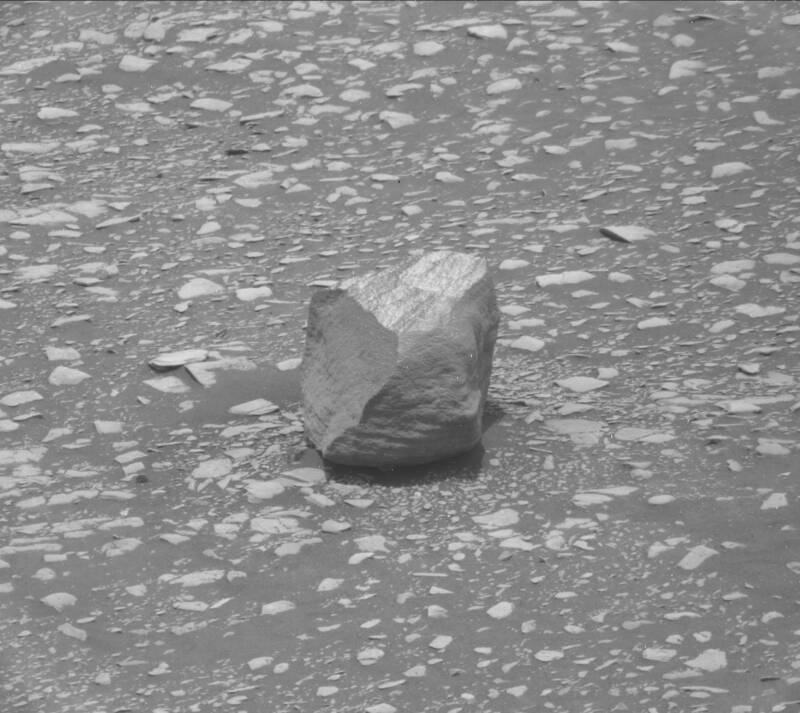 Nasa has for quite some time now constantly trying to show us the martians CULTURE! And in that way we can start to understand and possible accumulate an understanding of what their world is all about ! Sculptures seem to abound everywhere in "layer" form. And the giveaway of understanding what layers are is to look hard to see almost transparent eyes, hints of "mouths", and many look like birds, fish, lizards! I've seen in other photos of sculptures, tigers, lions, a bear, crocodiles and the list goes on and on. If you don't believe what I'm saying, look and view all the mouths and very subtle eyes. After viewing countless sculptures and realize that martians love to use eyes very subtly. Very often they are very thin slits in the eye areas. But they seem to blend them with other things to almost disguise them ! They seem to convey the meaning of haunting and almost ghostlike! Layers Representing As Thousands, Billions Or Even Trillions = Loosing All Their Fish or Mammal Like Creatures! lakes that once were. Memorials to loosing all their sea creatures etc. 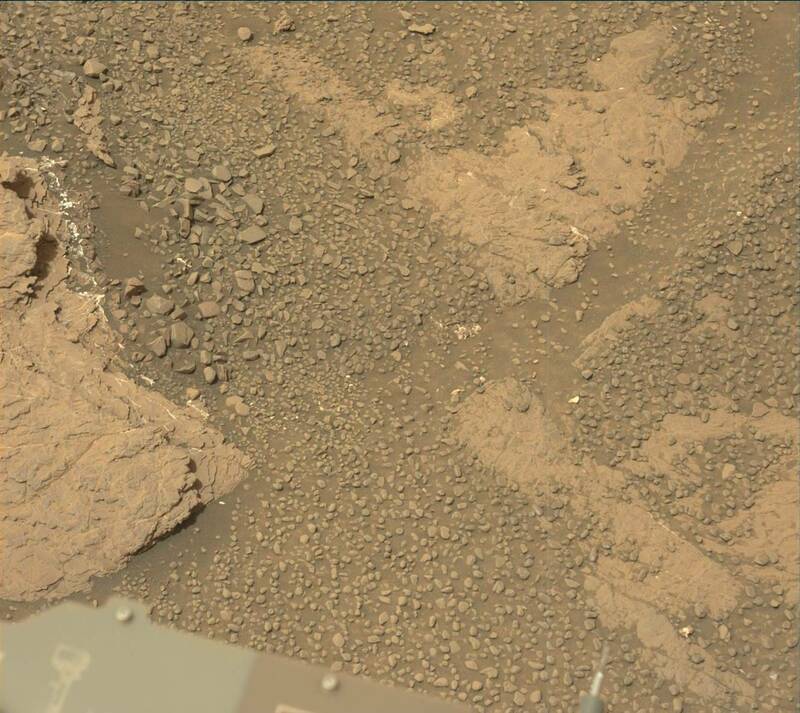 When mars lost it's atmosphere in extreme antiquity. These layers HAVE to be memorials to their dead. I think that is the theme of what these "layers" are about ! Also, it seems the work involved in placing these creatures and that seems to be the reason for the "WHITE" THIN ARM and PINCHER-LIKE HAND GESTURES! That you see in the photo! Please ZOOM to see text clearer and of course image as well ! Maybe Even A Better Answer To "Layers" Being Dead Fish-Face Mouths etc! (That and Water Dwindling) ! point I think the martians are making, that is to indicate lack of water for (ALL) the sea creatures to swim in etc. 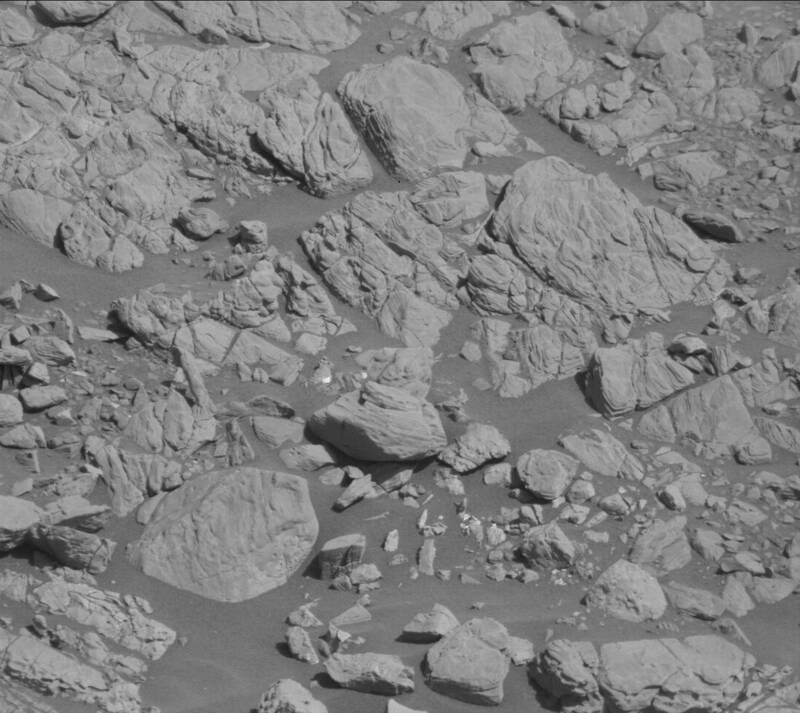 that are in all the tons of layers in so many Curiosity Mast-cam photos! I understand the fish mouth and eye are not totally clear but I do believe that it is clear enough for any to see it if they really try ! Rows and Rows of Dead Creatures! But are there faces depicting what creatures died in those rows? they lost their atmosphere in extreme ancient times! Can you see the pattern from TOP to BOTTOM? Can you see how the TOP is "abundance" of water which represents oceans being on Mars! And as you get the bottom of the memorial sculpture, you see a obvious death scene. But in the middle the water is in shortage, as creatures are just dabbling in water! But now they are not and that is why in my opinion the Martians are doing sculptures about it. in my opinion! I've just seen way too many to not think that ! and this bottom image? How the top layer in both images are more of happy days, when oceans were in abundance and sea creatures were playful and so alive! But now Martians are inspired to show the transition from life to death on Mars through their obvious memorials to sea creatures! prominent than "layers". Over and over again, just about daily, especially through the Nav-cams and of course the Mas-cam. 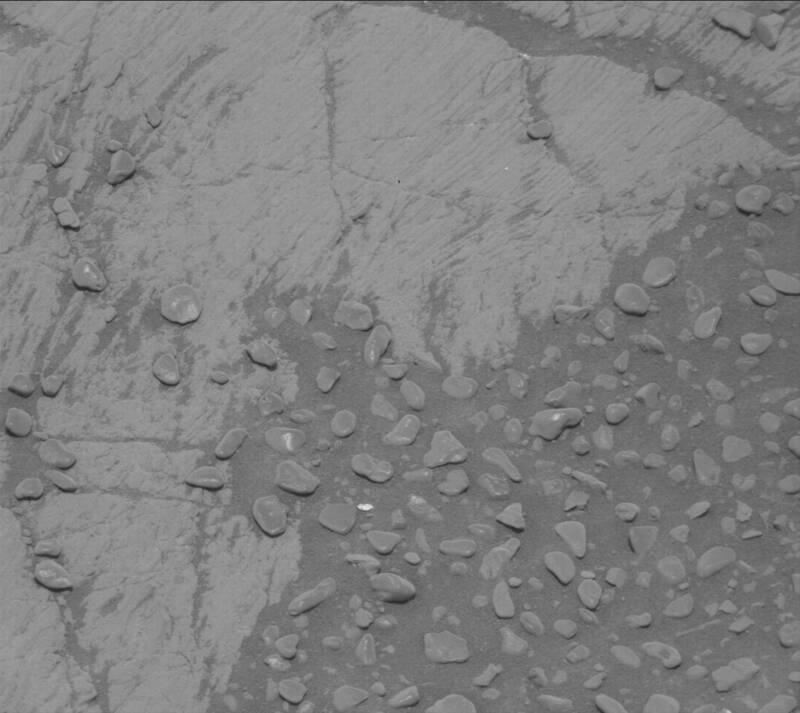 I fight in my mind over whether they are representations of flowing water that used to be on Mars before that great cataclysm that ended their atmosphere. But on and in the layers and around the layers, always seems to be bumps. And so very often they seem to look like fish and all kinds of other creatures that seem to be familiar with us humans. I understand "fish" can be mis-leading because I also think they are representations of a reaction of something else and the cause can come out looking like a "thin - fish face". Such as an impact ! If there is digging in the sculpture, there could be "fish faces" coming out of the area that is being dug. So when you see "layers" looks for creatures other than "fish". But if you see full bodied fish, they could be truly fish or sea creatures, or thick half-fish could be representations of their death etc. Layers in the photos that Curiosity has been showing have to be memorials, or certainly oriented towards memorials, because only memorials would be repeated over and over like tombstones in burial grounds. If they are are not "bumps" in "layers", then I think they could be representations of water, such as oceans lost, water-ways gone forever, because of the cataclysms that ended the Martian atmosphere. But not being a Martian, I can't say for sure. All I can do is what I see. All I can be is like an umpire at a baseball game, I call em as I see em! And sometimes I can call a strike a ball. But I hope I can help the reader understand that truly, Martians ARE telling stories and these stories seem to be related to the loss of their atmosphere and the surface of their planet when a great cataclysm hit in the ver ancient past. It truly seems that way from what I've read and seen. So "layers" seem to be a foundation and the most repeated sculptured objects I've seen Curiosity take photos of! So they have to be very important to the Martians! And I have to say again that they must be related to memorials ! The reason why, is because thousands of images have representations of sculptured fake rocks falling on creatures etc. Over and over and many times they fall on "layers" or around layers, in-between layers, damaging layers, smashing "layers" etc. etc.